Turkish and U.S. officials have decided to meet to work on resolving a diplomatic dispute between the two NATO allies and talks between their foreign ministers were constructive said Deputy Prime Minister Bekir Bozdag. He added he would have to take the US “ at its word” that it was not hiding a consular employee at its Ankara embassy. Turkey claims he was involved in the failed 2016 coup, and after he went into hiding, arrested his family. 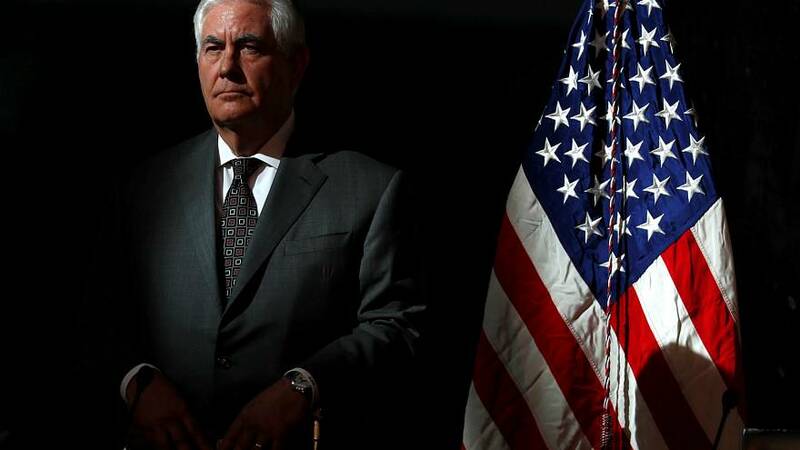 The US Secretary of State Rex Tillerson has dismissed the claims America was involved in the coup. “We hope that this issue will be resolved and the relations between our two countries will normalize between allies Turkey and US as soon as possible. While the crisis on the global and regional level is increasing, we as Turkey, will continue to use our common sense in dealing with the situation,” said Turkish Prime Minister Binali Yıldırım. President Erdogan says he “no longer recognises” the outgoing US ambassador John Bass, an unprecedented step, in what is the worst crisis between the NATO allies in decades. After Turkey ordered the official’s arrest, the US stopped issuing US visas in Turkey, leading to Ankara doing the same for US citizens. “Hurriyet Daily”, the English-language version of the popular Turkish daily paper, quotes an unidentified source alleging the US position also hardened because of Erdogan’s recent meetings with the Iranian and Venezuelan leadership, and the talks with Russia about the purchase of a ground-to-air missile system.